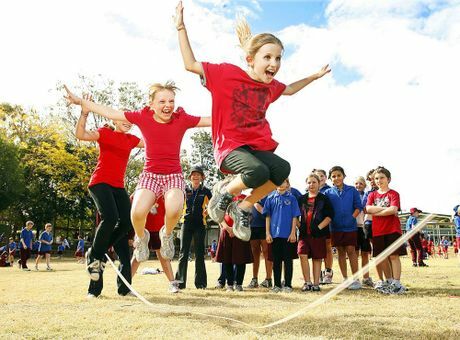 The popularity of the computer and games, has had an effect on the amount of physical activity that children engage in. In light of this, the East Texas Medical Center again hosted a Kids in Motion program for children between the ages of 8-12. Personal trainer at the ETMC’s Olympic Center, Cassie Ebert taught activities to the children. The aim of the program was to teach children the importance of physical activity and nutrition. Some of the activities that the kids participated in included: a hopping game, and a game of tag. The hopping game required the children to hop around while trying to grab an item from the pocket of a playmate. The basis of the tag game was to have the kids run around to generate enough heat to melt a large cube of ice. The children were also educated about the importance of healthy eating. The lessons included facts about fruits and vegetables and also the importance of reading food labels.